Why Choose our Denver Paving Company? 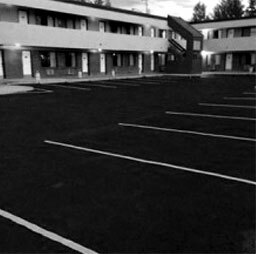 You’ll recognize several benefits with our high quality Denver asphalt pavements, compared to other, more costly options. Our Denver Asphalt is strong and durable. ProGrade is the leading Denver Paving Company and serves all of Colorado. No need to worry about salting your driveway in winter. Our Denver Asphalt is unaffected by salt. Unlike other, more rigid materials, such as concrete, asphalt pavements are designed to flex and “give” with slight settlements or frost heave. A word of paving warning: If someone knocks on your front door and says, “We have a load of asphalt that was left over from paving nearby, and we can pave your driveway at a bargain rate if you’ll pay cash,” don’t take them up on it. Asphalt that is “left over” from another job will be too cool to make a good pavement for your home. As with any business transaction, you want to know who you’re dealing with before proceeding. Checking references can save you money in the long run. ProGrade Asphalt, LLC is a 3rd generation Denver, CO paving company that is locally owned and operated. Our owners Mike and John have literally grown up in the paving business and offer over 30 years of combined experience in the Denver asphalt services industry. Mike and John personally oversee every paving project, meaning you never deal with “middlemen” or have your project suffer from miscommunications. ProGrade Asphalt, LLC handles every aspect of your Denver asphalt paving project from start to finish. We are also proud to serve Lakewood, Westminster, Aurora, Arvada and all surrounding areas in Colorado. 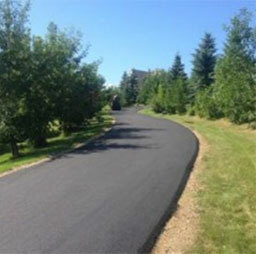 Take a look through our gallery to see ProGrade Asphalt, LLC in action. We have been in business for over 30 years and have worked a wide variety of paving projects throughout Denver. From residential driveways and commercial parking lots to industrial asphalt coating, ProGrade Asphalt, LLC handles all your paving needs. Contact us today to discuss your paving options. "This is an honest, reliable company. They take great care to do a good job. Fast work, respectful crew and amazing work ethic. Give them a call, you won't regret it" - John Williams.